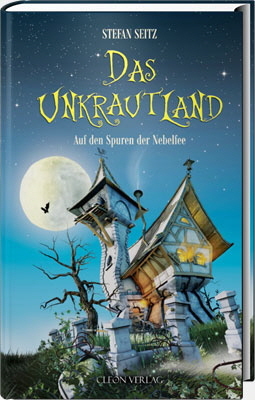 "Das Unkrautland" is a mystical, spooky world, located between Gloomy Forest and Sulphur Pinnacles. 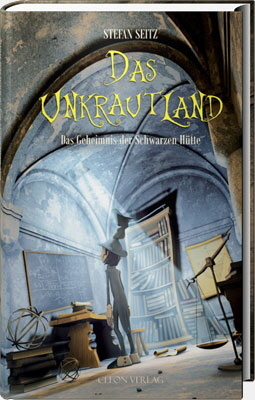 An almost forgotten legend - spun into the fairytale-like story - unfolds piece by piece. 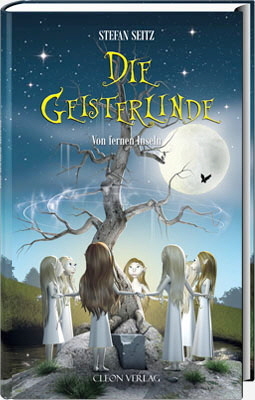 Incidents of former times are revealed and lead the bizarre but lovely characters deep into the realm of witches, trolls and goblins. No one knows, where the fabled realm might be situated ... the realm of islands, that is only mentioned in an old legend. But it seems to exist. For hundreds of years, things and people have kept disappearing. What is behind all this? What kind of secret do the glass cubes hide? And most of all: Who might be responsible for all of it? As though by chance, Primus and Miss Plim slide into a mystery, which leads them right in a story full of magic, ghosts and dark scheming. What happened countless years ago, in these forgotten ages which are not even mentioned in any chronicle? What was it? It seems that nobody is able to answer this question. However, there are hidden hints and mysterious pieces that still remain and just wait to be discovered ... Who will find the key to the secret which embraces Tendril’s Land? Will the forest tell its story one day or will it be the Western Swamps which reveal their secrets? Will the answers be found on the bottom of a lake or simply in the basement of a very old building? Straightup to the ice-areas the old writings are showing and describing a path full of barriers, secrets and mysteries. The clues, Primus and Plim are looking for so long, maybe close. But the mountains are malicious. Ghost are hiding in the canyons, trolls are populating the chasms, and in the depths of the legendary Lead-Mountains forces are asleep, which are much more enigmatic than the neverending tunnels. Mysterious things happend, a long time ago, as the tunderstorm went along the mountains and the north face of the Lead-Mountains trembled. And strange roumors were afloat, about a lake, that turned up out of nothing and suddenly disapeard again without leaving a trace. This are the years, when Magnus Ulme lived in the old tower an Primus was just a apprentice. But this time, it is someone other, the story is all about, and who gets involved just unrecognized in the happenings of the old days.